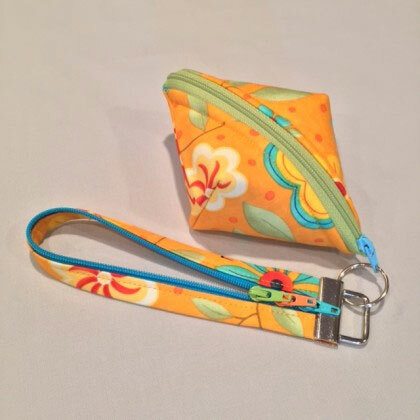 Fobio sewing pattern from Lazy Girl Designs. 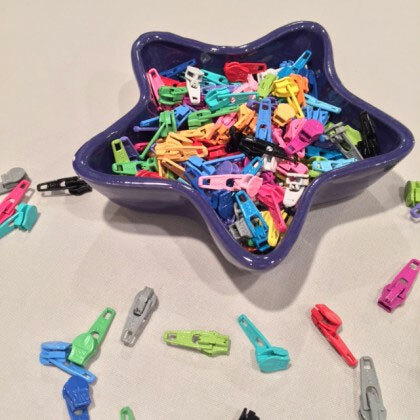 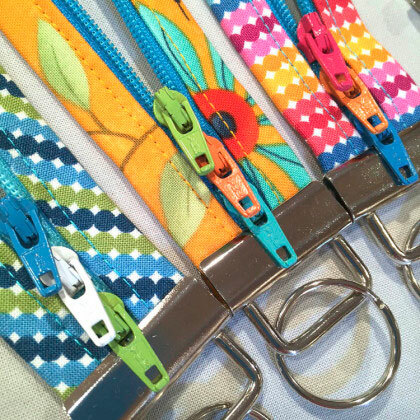 Grab your favorite scraps, bright zippers, extra pulls, then go wild or mild and make a few or a slew! 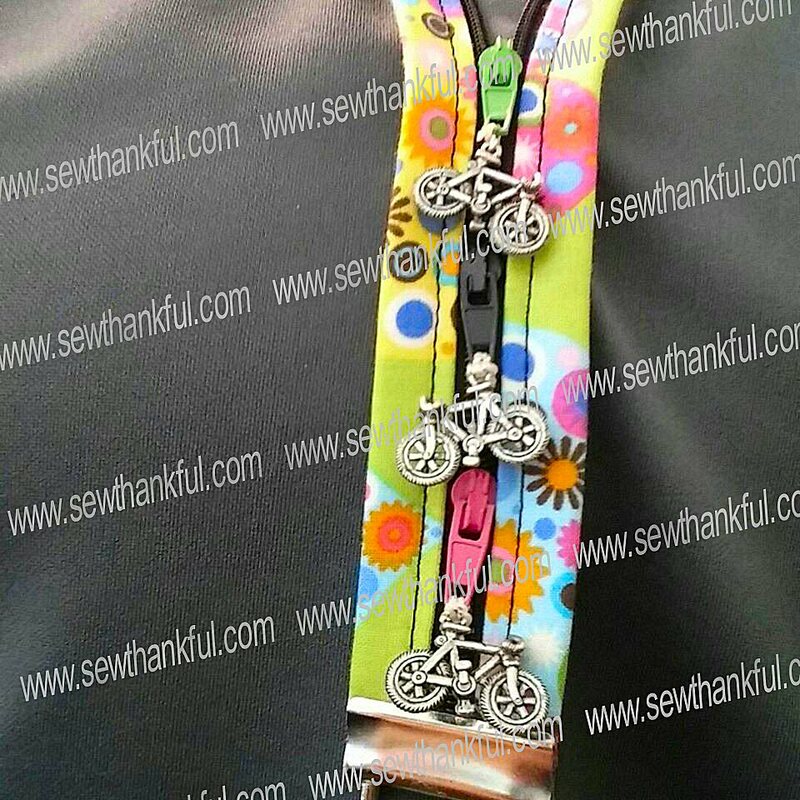 This lanyard-style key fob zips up to your wrist to secure. 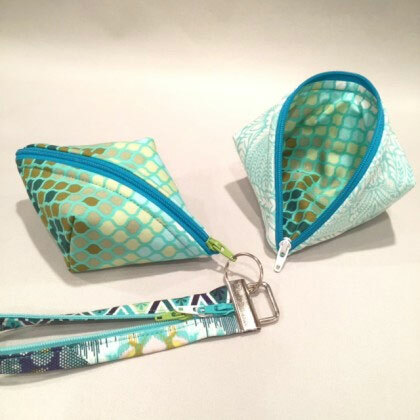 Clip to a pouch for an instant wristlet! 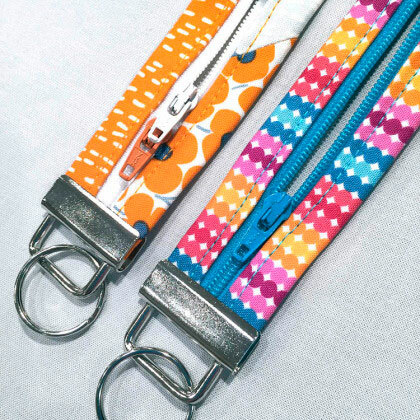 Use Lazy Girl’s One-Zip technique to cut the zipper, sew one side of the zipper in straight and flat, bend to make loop, then use Joan’s trick to easily add one or more zipper pulls. 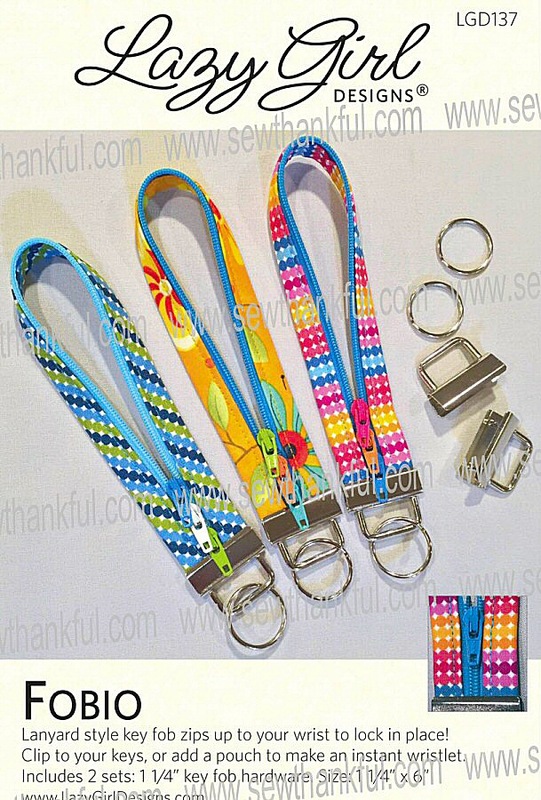 Use Wonder Tape (recommended by Joan--see pattern back image above) to assist you in keeping everything lined up as you sew. 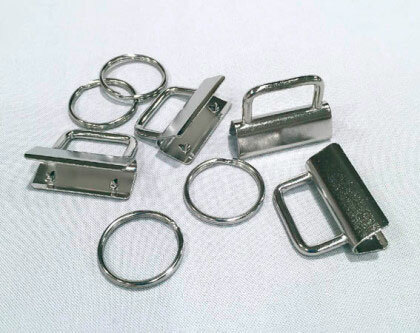 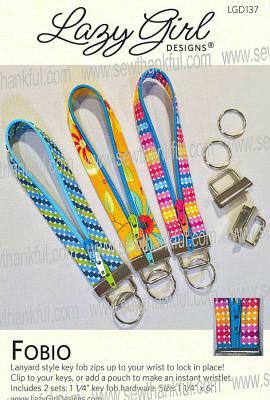 Pattern includes 2 sets nickel key fob hardware size 1 1/4 inch. 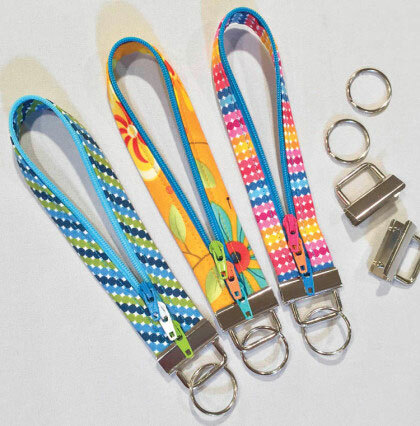 Use Lazy Girl Key Fob Hardware Pliers for a beautiful, professional installation of the key fob hardware.